Attorney fees in California workers compensation cases apply differently than the standard contingency fee one would expect in a personal injury case agreement. Attorney fees in California workers compensation cases are on a contingency and are capped at 15% of the money awarded to the plaintiff or better known as the applicant in workers compensation lingo. This is compared to the standard 30% to 40% contingency fee expected to be charged by a personal injury attorney for representation in an auto accident case, for example. Despite maxing out at a low 15%, lawyers who practice Workers Compensation in California have other means of earning fees within the workers’ compensation system. One way is through taking 15% on an award of retroactive temporary disability benefits. Without going into too much detail here, lawyers are generally not entitled to 15% of temporary disability money voluntarily paid to the injured worker, but could be where the lawyer accomplishes the task of obtaining an award for retroactive unpaid temporary disability benefits to the client in an accelerated lump sum. Another way a workers compensation lawyer gets paid is through payment of ‘5710 fees.’ 5710 fees (Section 5710 of the California Labor Code). This type of fee is to be paid by the insurance company directly to the injured worker’s attorney of record (it does not reduce nor does it come out of the injured workers pocket) where the insurance company’s attorney takes the applicant’s deposition. The standard hourly rate awarded by the courts in Southern California is around $350.00 per hour, and in some areas of Southern California it is as high as $425.00 per hour. Allowable billing includes the time expended to ravels to and from, prepares applicant for, and attends the deposition of the applicant. As you can see, an all day deposition (most depositions are about 2 hours long), including travel time and preparation time, can bring a workers compensation lawyer thousands upon thousands of dollars in fees to be paid directly by the insurance carrier for what is generally just one day of labor. For those out in the world of personal injury and civil litigation, the concept of the other side paying such fees appears absurd. Nevertheless, 5710 fees are real and they are definitely a significant source of income for plaintiff’s-side workers compensation lawyers. 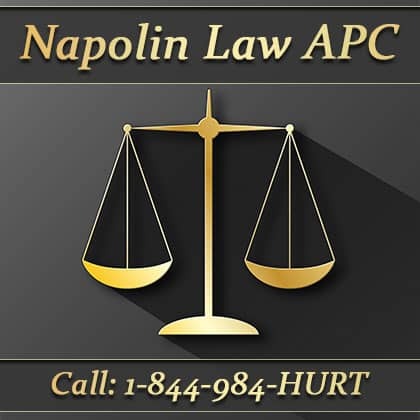 For more information on California workers compensation law, visit our website at NapolinLaw.com. If you or a loved one is hurt on the job in California, do not hesitate to call us at 909-325-6032 for a free consultation to discuss your circumstances. We will discuss how we are paid in addition to a full review of your situations to see if we can represent you in the courts!